Lavazza whole bean espresso has the perfect blend for those who want a traditional espresso coffee that has a full, rich taste without any bitterness. 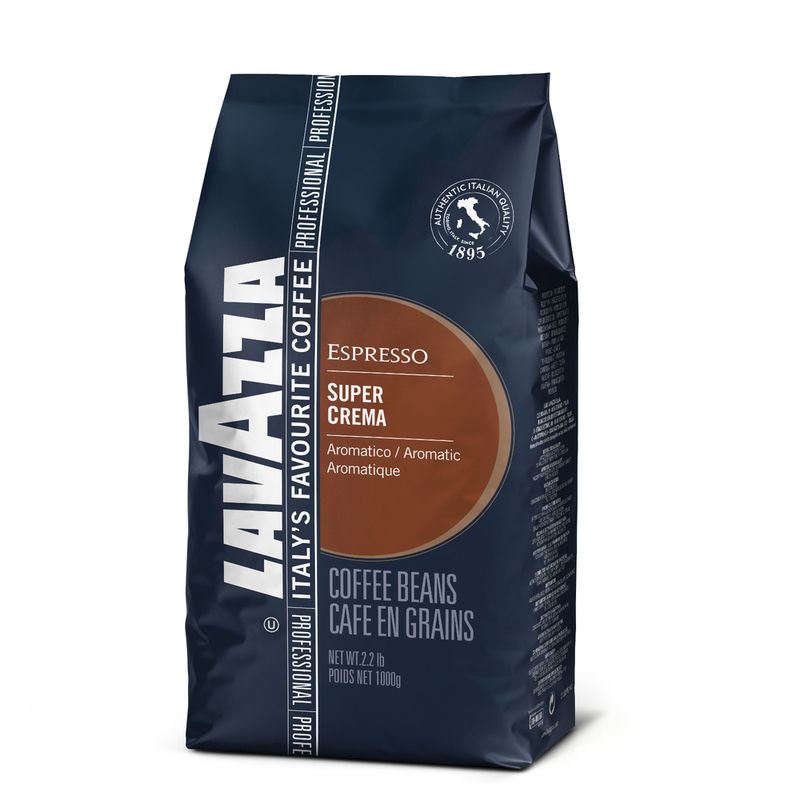 Lavazza Super Crema is a blend of coffee from Brazil, India, Columbia and Indonesia. Characteristics include persistent aroma and honey and almond flavors, as well as an easily attainable thick, compact crema. Super Crema is our top selling Lavazza coffee. 1 Kilo, 2.2 pounds of Lavazza whole bean coffee per bag. I recently bought an automatic espresso machine. This coffee was recommended by my sister, who uses it in her automatic machine. The beans are supposed to be less oily, so as not to cause problems in the grinder. It is fantastic. For the money, I think pound for pound I think this is the best coffee available. I have been using Lavazza Espresso for some time and it is wonderful. I will continue to enjoy it.